This pin is made of solid brass. 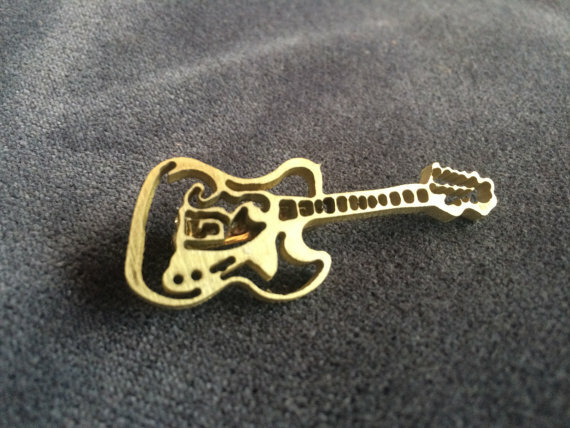 The pin is based on a drawing I did of a Fender Telecaster owned by Winnipeg Guitarist Jason Nowicki. It measures 2″ and has a brass bar pin fastened to it so you can wear it on your coat! It looks lovely on grey and navy. 🙂 Just email me at info@jamesculleton.com if you want one!